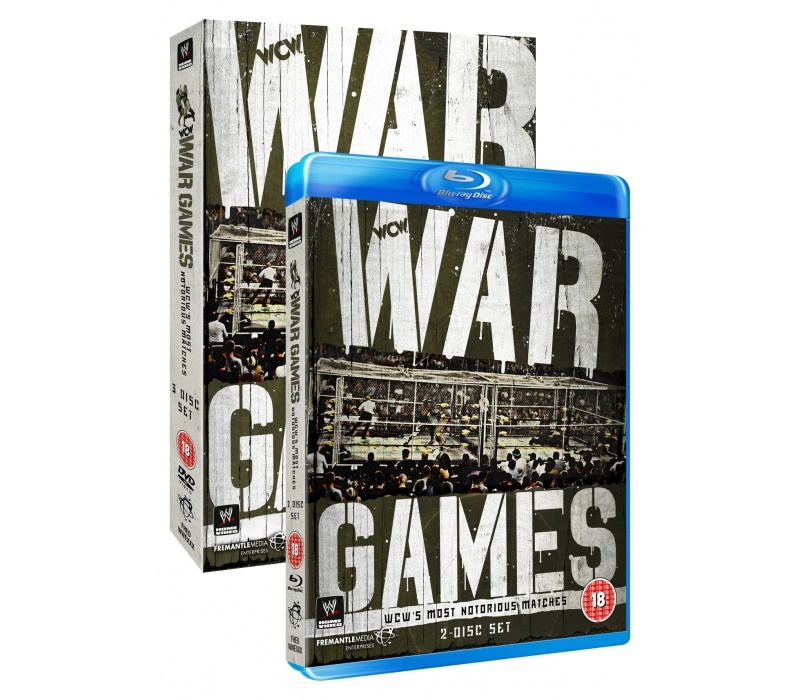 War Games: WCW's Most Notorious Matches is now available on DVD (£19.99) and Blu Ray (£22.99) from www.wwedvd.co.uk and other fine DVD and Blu Ray retailers. Here's a list of the content that can be found on the DVD. War Games: WCW's Most Notorious Matches is a match compilation set that showcases on of WCW's unique match types the War Games. It is presented by WWE Hall of Famer and veteran of War Games, "The American Dream" Dusty Rhodes. It's always interesting to listen to what Dusty has to say and it's clear throughout that he has a deep passion for this match type, having created the idea back in 1987. For the most parts the stories that Dusty tells are relevant to the match we are about to see, however he does occassional go off on tangents, talking about Cody Rhodes and Goldust in the 2013 Royal Rumble springs to mind. At times, Dusty begins to sound a little bitter about how the match evolved, at points justifiably so, War Games 2000 anyone, but earlier on the DVD you kind of getting the idea that Rhodes is just annoyed he was no longer involved in the matches. Watching this set, you instantly begin to see patterns in the War Games that will crop up in almost every single match on the set. Firstly, the heels will win the coin toss. I think this happens in every match up until WCW starts toying with the format. It makes sense to have the heels out number the faces, but it defeats the object of the coin toss idea. Secondly, there will always be a weak link on the heel side. You can pretty much guess who is going to end up submitting during the match from the very start, the likes of J.J. Dillon, Larry Zybsko and Colonel Robert Parker are clearly only in the match to keep everyone else looking strong at the finish. The faces always win, up until the time of the NWO and the era of the "cool" heel, every single match is won by the face team, obviously because War Games was originally booked as a way to end feuds and the good guys should always come out on top. 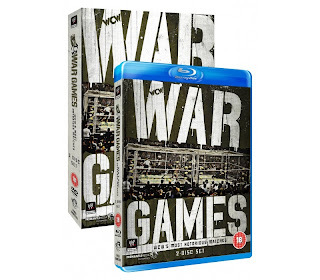 Personally, I'm not a massive fan of the War Games concept, it's way too predictable as has been mentioned above, and without any kind of back story given for the rivalries involved in each match on the set, all you really see is guys getting thrown about the cage for twenty minutes before an anti-climactic ending, with the first submission seen in the match ending in victory. The matches do progress in technicality as the set progresses and better stories are woven throughout as you go on, up until the first NWO involvement and then it get's pretty bad from then on in, with some appalling booking in the last couple of matches. My favourite thing about War Games on DVD is that you get to see the development of the NWA and WCW as you go a long. Not only new stars turning up in the matches, but how the matches are performed in the ring and how they are booked as well. The original matches play pretty much completely of the spectacle of the two rings, whilst as you move further into the set, the matches become a lot more interesting to watch as you have a clear story to follow in the matches. As you head towards the end of the set it becomes clear why WCW eventually went out of business. There is some awful concepts added, with the three way War Games match especially standing out for me. It could have been an interesting match but unfortunately with whoever gets the pinfall becoming Number One Contender, the teams are pretty pointless as it basically becomes a nine man free for all and the entrance of the Ultimate Warrior is simply mind blowing, but not in a good way.